Currently RadChart provides 27 2D Chart types for SL/WPF. 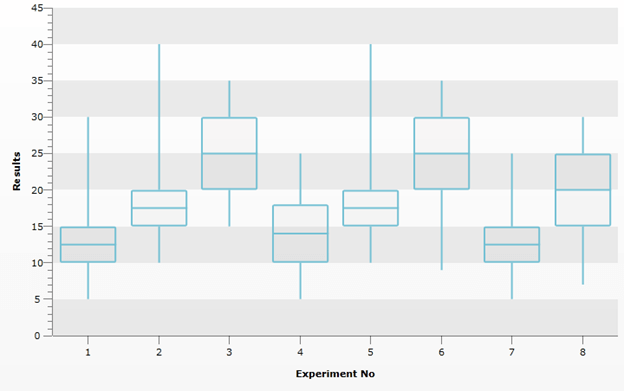 You can easily customise the existing chart types to create a more complex series like the box plot(also known as box-and-whisker diagram and widely spread in descriptive statistics). This help topic will demonstrate how to create BoxPlot and Scatter ErrorBars by reusing the default Styles of the *CandleStick *and *Scatter *series and adding custom CandleStick / CandleStickSeriesDefinition (ScatterPoint/ ScatterSeriesDefinition) pair of classes. 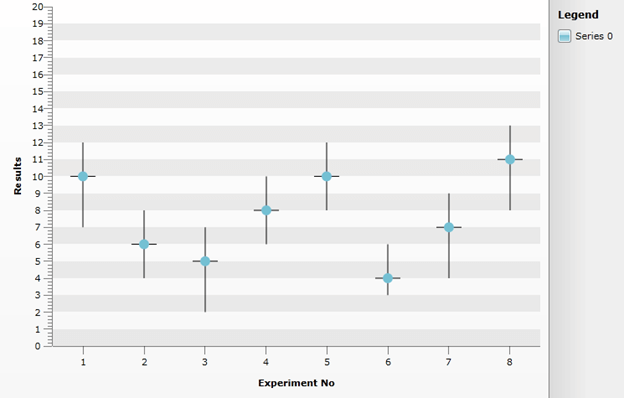 The BoxPlot have five number summaries: the smallest observation (sample minimum), lower quartile(Q1), median (Q2), upper quartile(Q3), and largest observation (sample maximum). For the purpose the Open, Close, High and Low values of the CandleStick will be used with retemplating the Series Definition to add the additional Median Line visual. You will also need to create custom CandleStick / CandleStickSeriesDefinition pair of classes (to calculate the necessary coordinates for the additional Line). 3. Create new class that inherits the CandleStickSeriesDefinition class and override the CreateChartItem() method so that the CustomCandleStick becomes a brand new Series Definition. Create new ScatterErrorSeriesDefinition by inheriting the ScatterSeriesDefinition class and override the CreateChartItem() method that returns the ScatterErrorBar class. This way you create brand new Series Definition -ScatterErrorBar that is used as TargetType in the Style mentioned above. You can create a ScatterErrorBar Chart by setting YValue for the Scatterpoint and MinValue and MaxValue that will be used to position the crossing Lines. /// Identifies the <see cref="MinValueY"/> dependency property. /// Identifies the <see cref="MaxValueY"/> dependency property. /// Gets or sets the MaxValueY. /// Gets or sets the MinValueY.
''' Identifies the <see cref="MinValueY"/> dependency property.
''' Identifies the <see cref="MaxValueY"/> dependency property.
''' Gets or sets the MaxValueY.
''' Gets or sets the MinValueY.